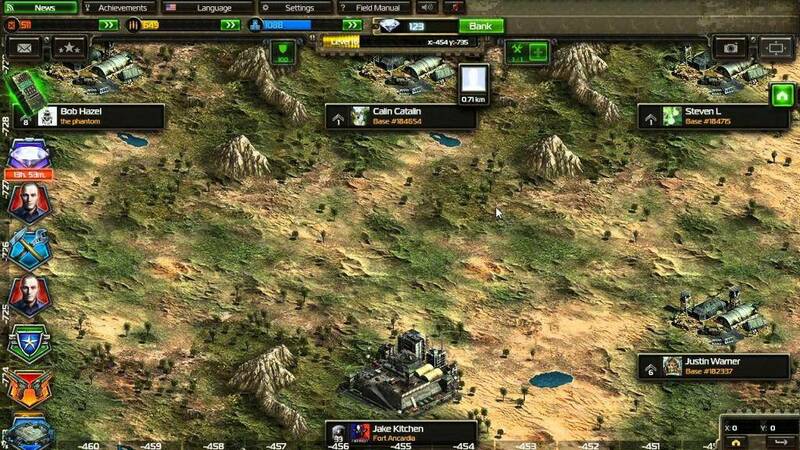 War Strategy Browser Game - In the gaming world, oil is certainly a great pretext to take up arms. Courage, comrades! We have a state to loot (and an empire to build)! War is not a pleasant thing. It can deeply undermine the happiness of a man, forcing him to carry its horrors within himself. But we are gamers. We like war. Rifles (keyboards) at the shoulder (at hand), we are always ready to rush headlong into a new conflict, rejoicing at the outbreak of every battle, at least as long as this remains simulated in our monitors. Be ready, then! Load your magazines, we're going to war! 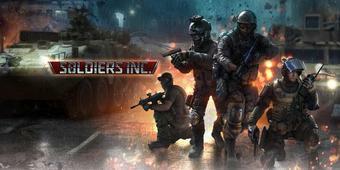 The beginning of Soldiers Inc is not particularly original, indeed, it is the usual military-style origin that set off countless stories, and yet, it does the job of introducing us to a hostile environment without getting bogged down in unlikely (and out place) narratives. In short, we find ourselves in the near future in a world destroyed by conflicts over power and resources. What we commonly call civilization has been almost completely subdued by the god of money and we, leader of the recruits, will have to carve out our "fair share of revenue" generated by intensive use of land resources. 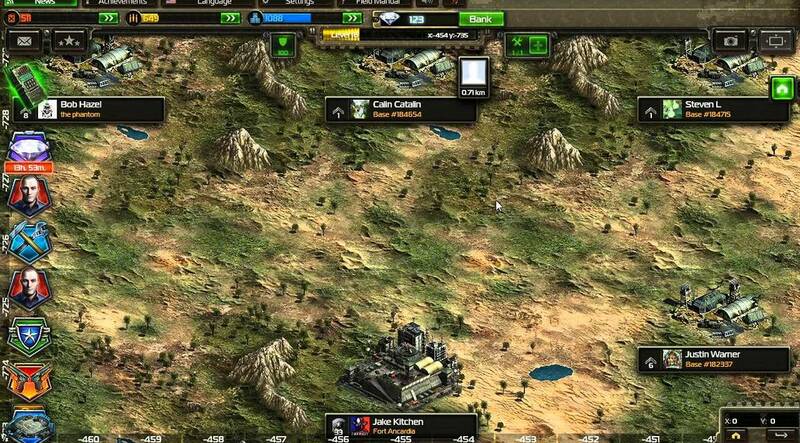 Putting aside the military context, Soldiers Inc behaves exactly like any other management/strategy available online. There will initially be a small piece of virgin land assigned to us in which, other than a few basic buildings, there will be nothing but space to give rise to our great base camp. 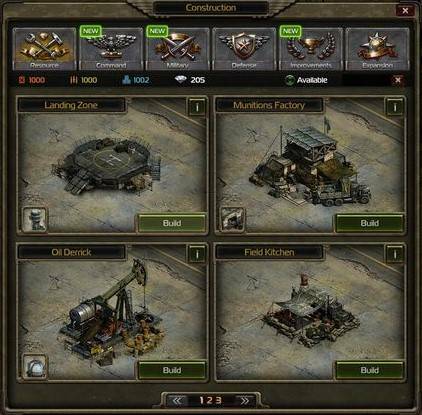 From the menu we can start the construction of landing zones, munitions factories, oil rigs, barracks, defense elements and many other facilities necessary for the progress of our operation. 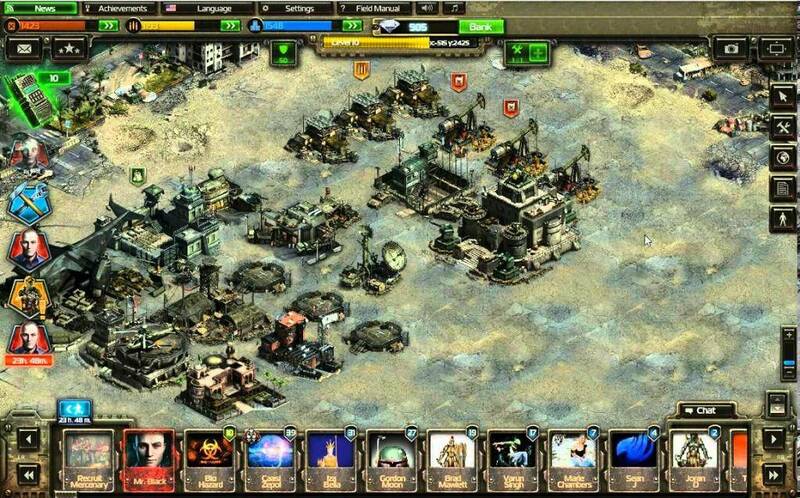 The interface is not particularly different for players already accustomed to Plarium titles. 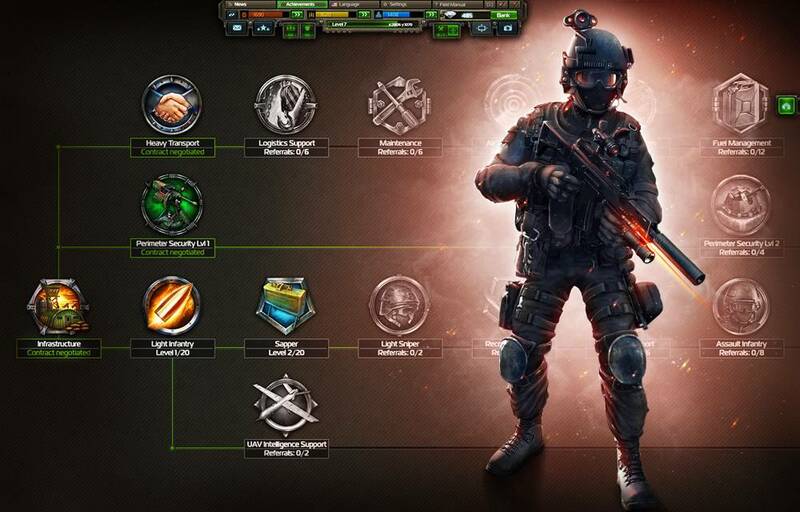 During the game, we will also be guided by the missions that we will be assigned, often banal and elementary operations, sometimes more complex tasks They are very helpful to tie together the actions of the game, creating a sort of sense of linear progression in what we are doing. As usual with Plarium, quests are introduced and concluded by excellent dialogues, often topped by an exquisite sense of humor that helps the game not to be taken too seriously. With the research menu we will learn new ways to expand our influence and, as always, once we are sufficiently aggressive, we set our eyes beyond the walls of our camp and discover a gigantic world with countless other outposts to conquer, create alliances with, or simply watch. 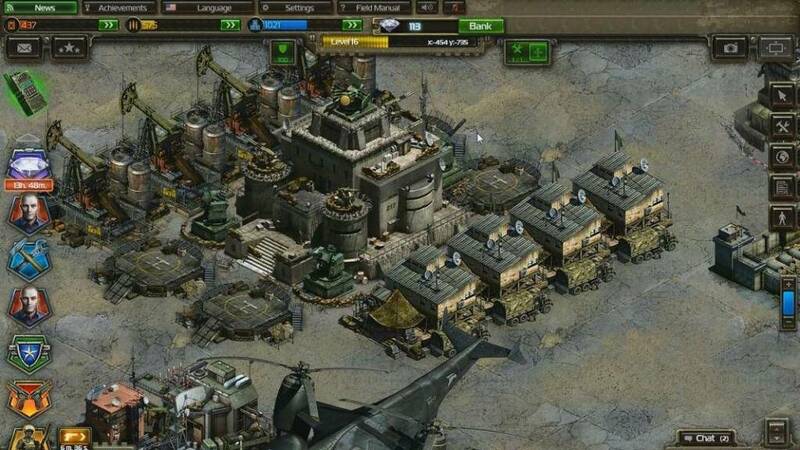 In short, Soldiers Inc takes the classic formula of medieval strategy and projects it into a futuristic warfare scenario, preserving the mechanics but managing to give a draft of fresh air to it all. 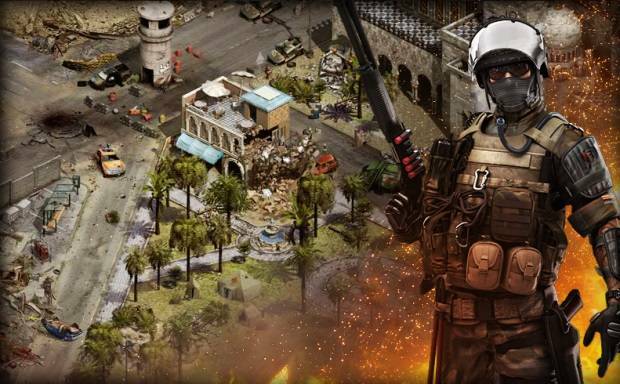 Graphically, the title stands on the standard achieved by other Plarium productions. 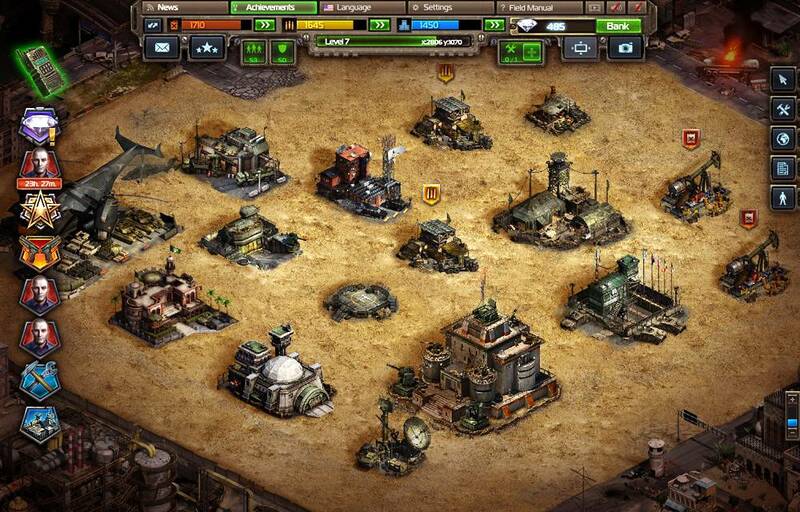 The construction of the base camp is well done, with a setting that evokes decay and dozens of animations that give the impression that, despite the hostile territory, there is life around us. The global map of the world is a little less refined; rather bare and overly repetitive. The music on the other hand is good, halfway between desolation and epic; perfect for the setting. 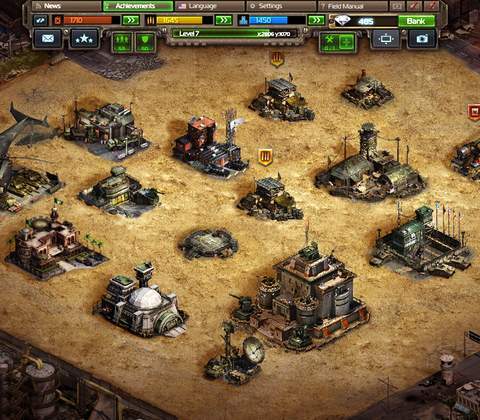 Summing up, Soldiers Inc is definitely a pleasant strategy game. It suffers, unfortunately, from the same problem that afflicts 99% of its "colleagues": a complete lack of originality in the mechanics. 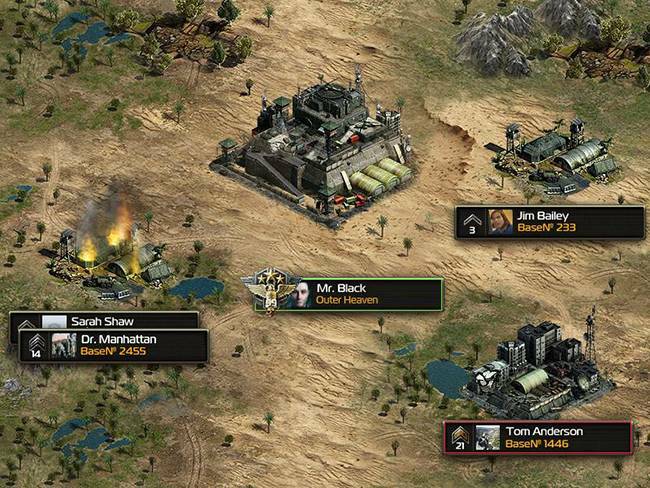 The modern military-style setting, although not a first for the genre, is less thrashed than the medieval and, perhaps, able to tip the scales in favor of this game. All in all a good game; nothing earth-shattering, but still good.